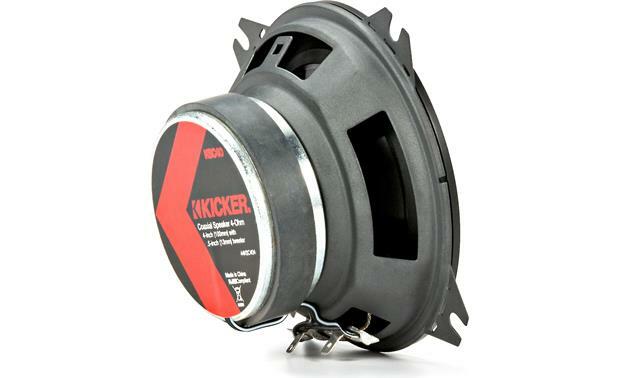 Kicker 44KSC404 - The little giants handle up to 50 watts RMS. 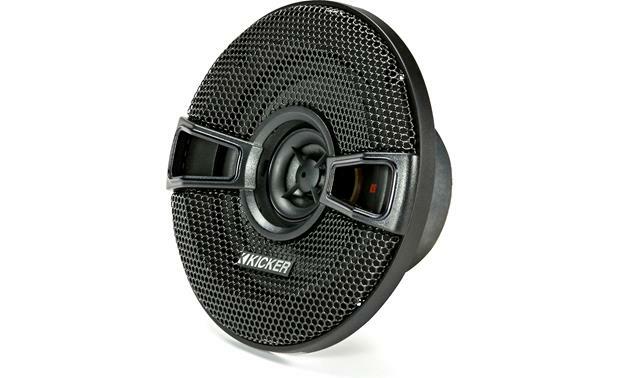 I love a perfectly crafted pop song, and if I had to pick a pair of affordable car speakers to handle those harmonies and pristine production, Kicker's KS Series speakers would be a great choice. 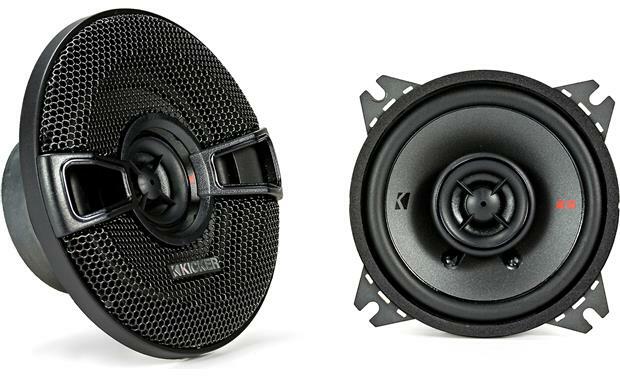 Their 44KSC404 speakers feature a 4" polypropylene woofer with a powerful magnet, giving you a natural sound with plenty of punch. 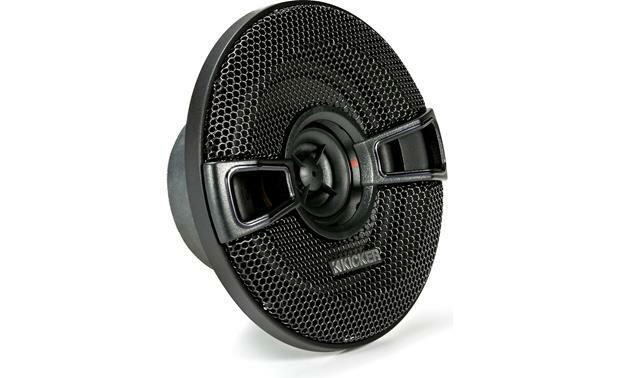 And the 1/2" silk dome tweeter delivers every ounce of smoothness you'd want in your music's vocal and instrumental details. 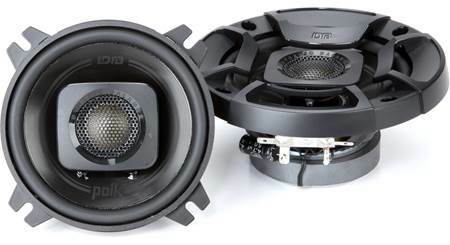 All told, your favorite music will gain a level of dimension that factory speakers just can't manage. 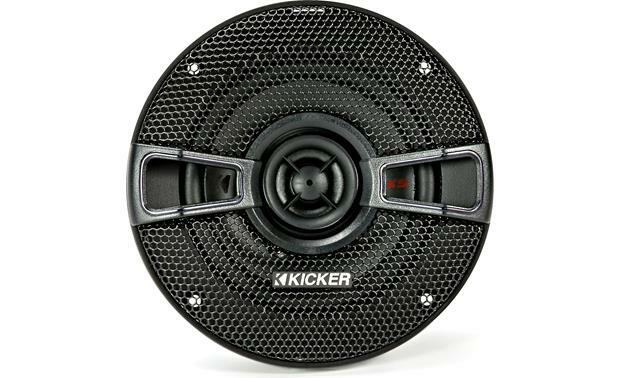 Kicker's KS Series sports a slim profile for a better fit in more vehicles. 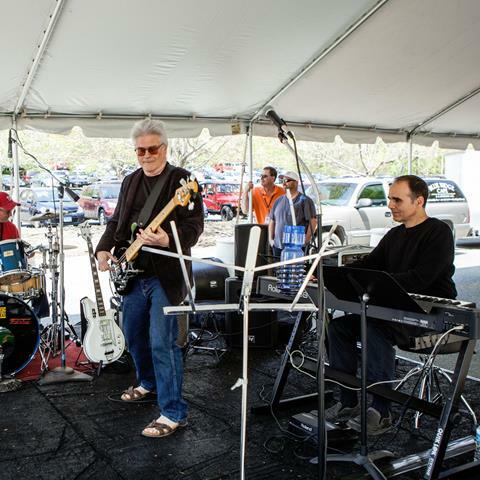 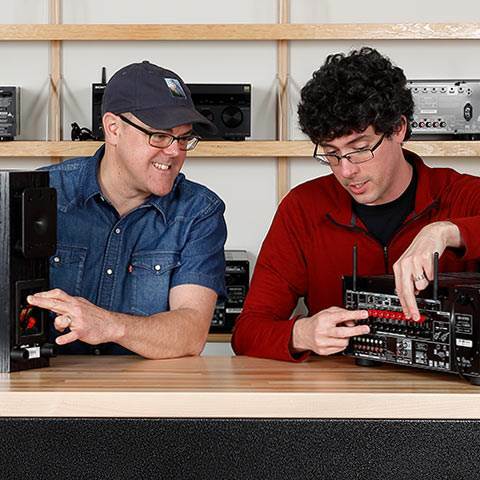 Not planning on swapping out your factory radio or adding a factory amp? 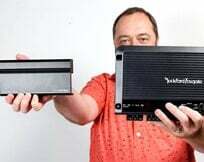 With the KS Series, Kicker created a highly sensitive design that conjures hefty volume even from low-powered factory radios. 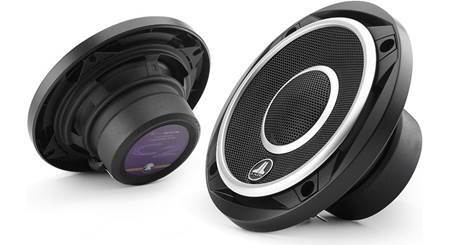 These low-profile speakers feature a reduced mounting depth, making them a match for almost any car. 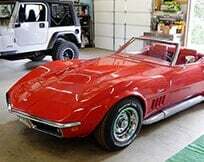 And the refined, black grilles included with the package allow you to do a custom installation that'll add nice flair to your interior. 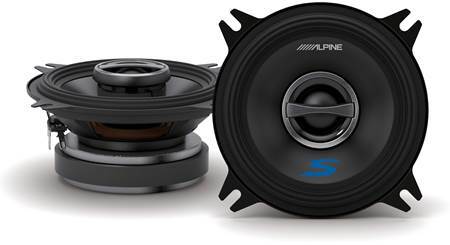 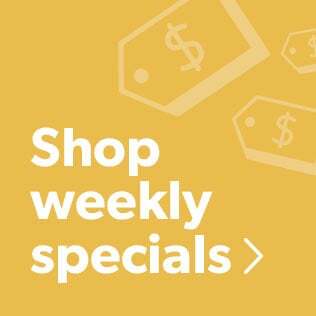 Good value for a 4 inch speaker. 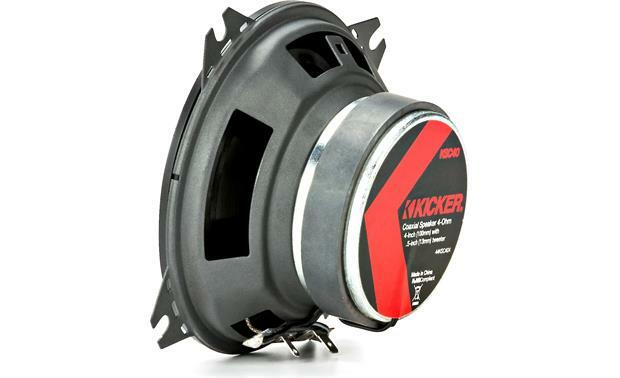 Polypropylene Woofer Cones: The Kicker KS-series speakers feature durable polypropylene woofer cones, resistant to moisture and the temperature extremes found in automotive applications. 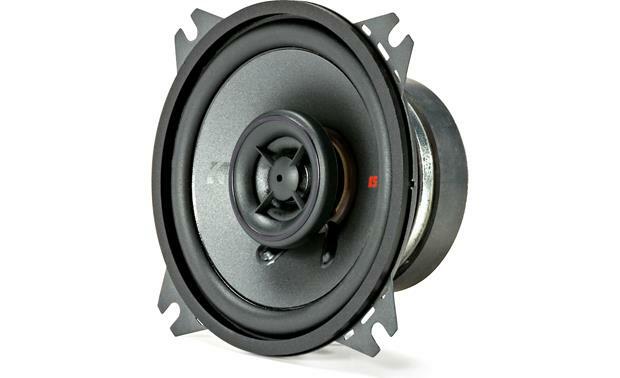 Balanced Dome Tweeters: The 1/2" balanced dome silk tweeters provide a smooth high frequency response with a wide dispersion pattern. 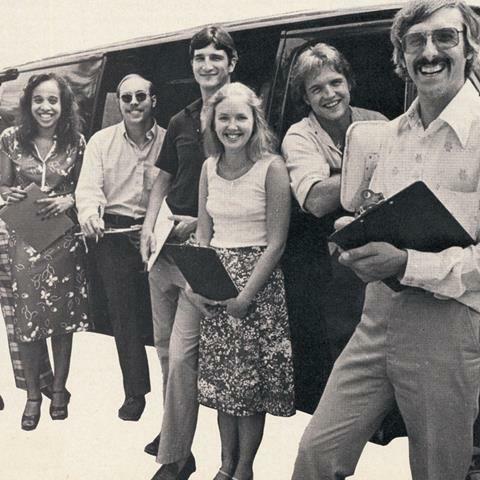 The tweeters have strong neodymium magnets for higher power handling. 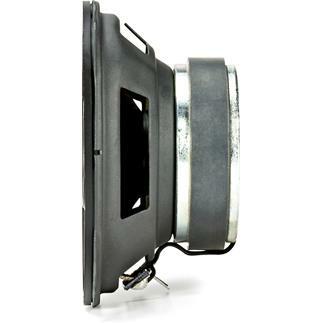 A semi-dome tweeter has a dome placed inside a cone. 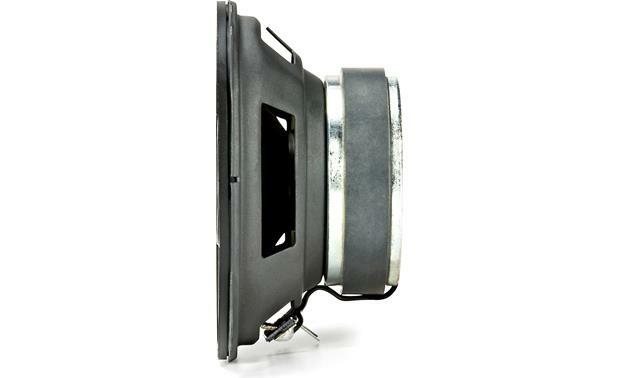 Balanced dome tweeters are semi-dome tweeters with equal reproduction area given the cone and dome portions of the tweeter. 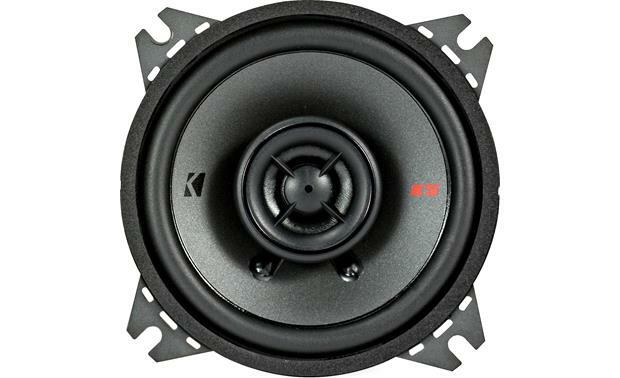 4/2 Hole Compatibility: Most 4" factory speakers use four mounting screws, however, in some vehicles, only two are used. The KSC4's mounting tabs can be removed, allowing installation in 4-hole or 2-hole applications. 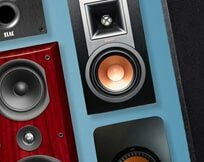 Care should be taken handling the speaker after any tabs are removed because the broken edges may be sharp. 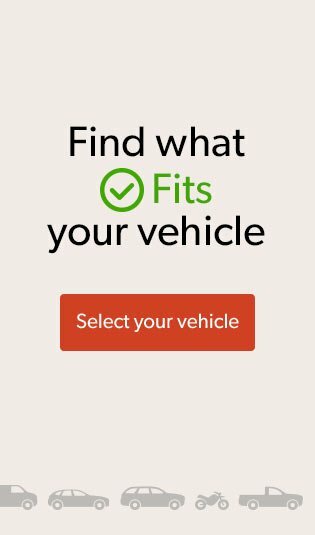 Please enter your vehicle information to confirm fit. 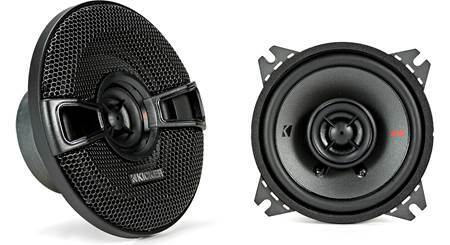 What is the mounting depth of these speakers? 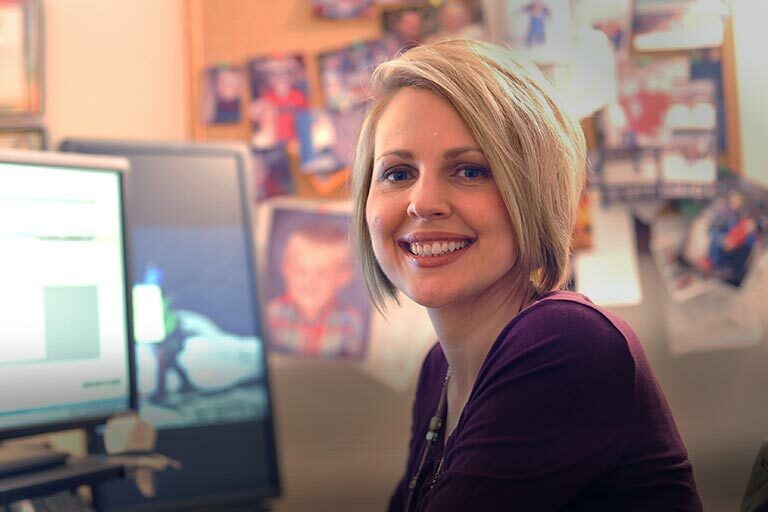 Also what is the distance between the mounting holes? 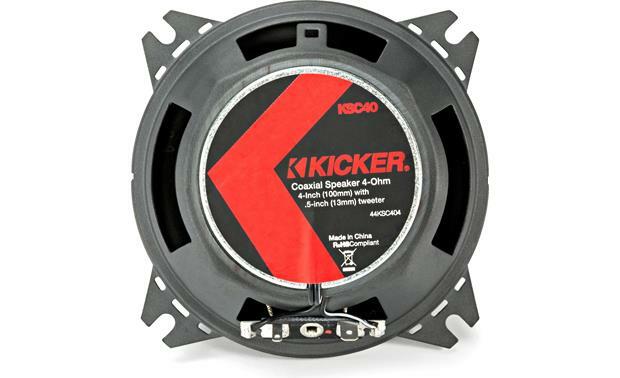 Searches related to the Kicker 44KSC404 4" 2-way car speakers.